2019 HONDA TRX500FE2 FOREMAN WITH ELECTRICE SHIFT AND POWER STEERING!! 2019 HONDA TRX500FE2 Foreman trx500 foreman 500 with electric shift and power steering. PRICE PLUS DESTINATION FEES AND SALES TAX. 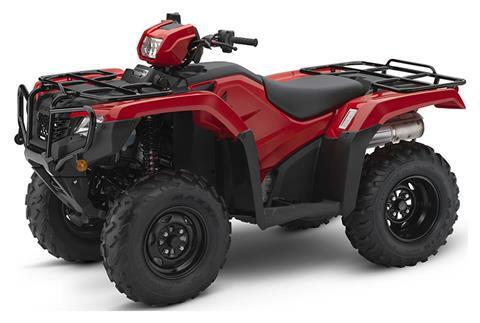 There are plenty of hard workers in the ATV world, and Honda’s lineup stands at the top. But there’s one ATV that shines a little brighter, works a little longer, and tackles the toughest jobs or adventures day in and day out. And that’s the Honda FourTrax Foreman.